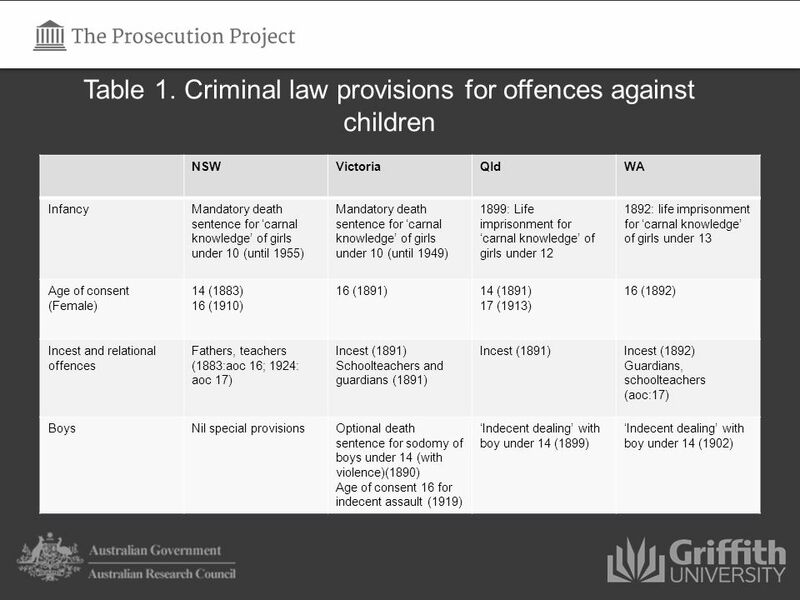 Child sexual abuse in historical perspective: what did the law know and how did it act? 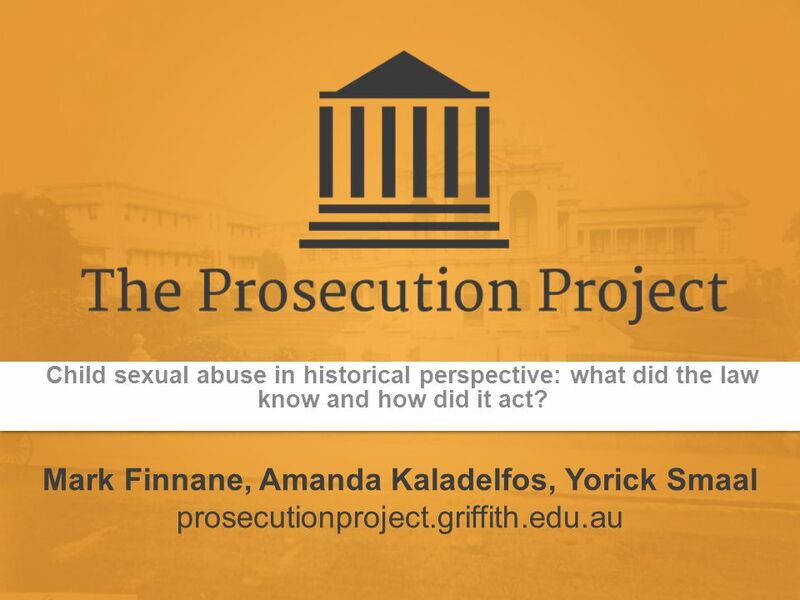 Mark Finnane, Amanda Kaladelfos, Yorick Smaal prosecutionproject.griffith.edu.au. 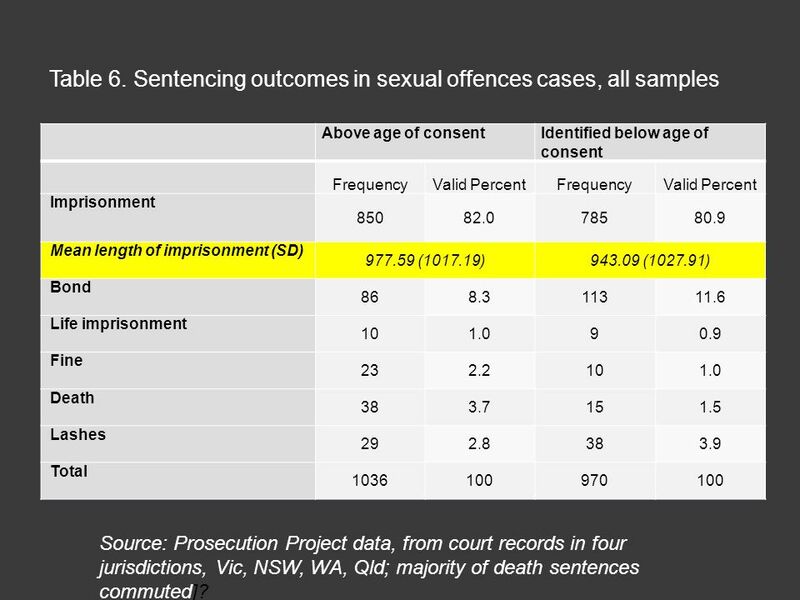 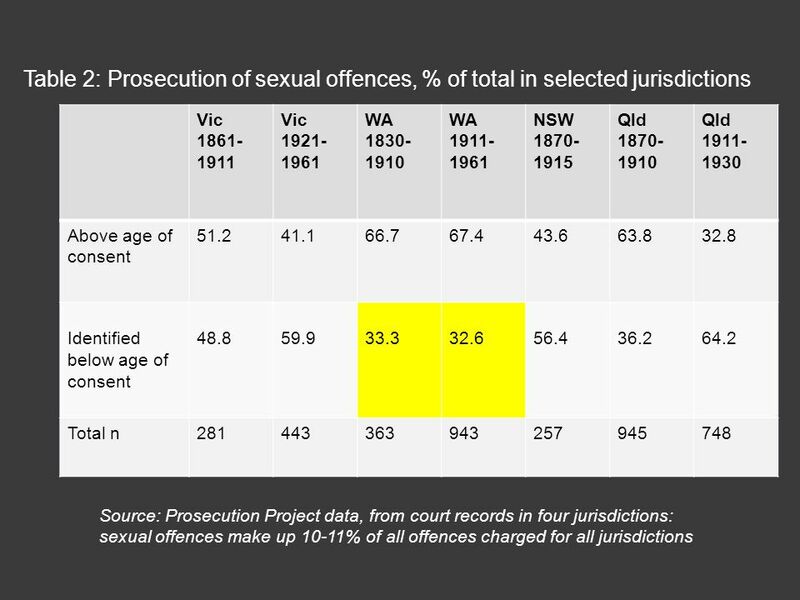 5 Identified below age of consent Vic 1861- 1911 Vic 1921- 1961 WA 1830- 1910 WA 1911- 1961 NSW 1870- 1915 Qld 1870- 1910 Qld 1911- 1930 Male 10.3 (29) 21.2 (113) 10.8 (37) 34.9 (86) 45.7 (46) 53.1 (49) 70.0 (60) Female88.4 (146) 94.5 (238) 84.4 (109) 90.7 (226) 58.8 (211) 74.3 (307) 81.2 (260) Missing n106922176310589428 Table 4: Prosecution of sexual offences, gender of complainants (% of number of cases) Source: Prosecution Project data: in brackets n of total sexual offences cases for each sample. 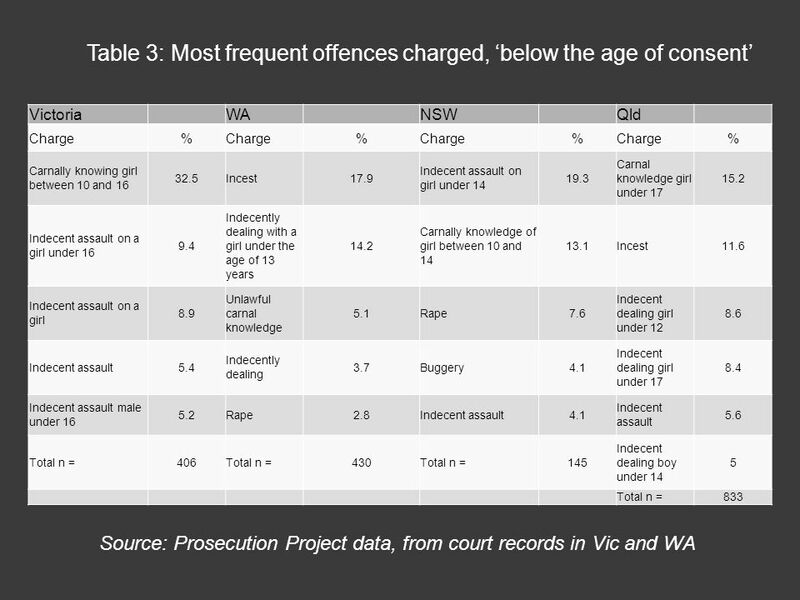 Highlighted data suggests significant underestimate of number of under-age boys in the data. 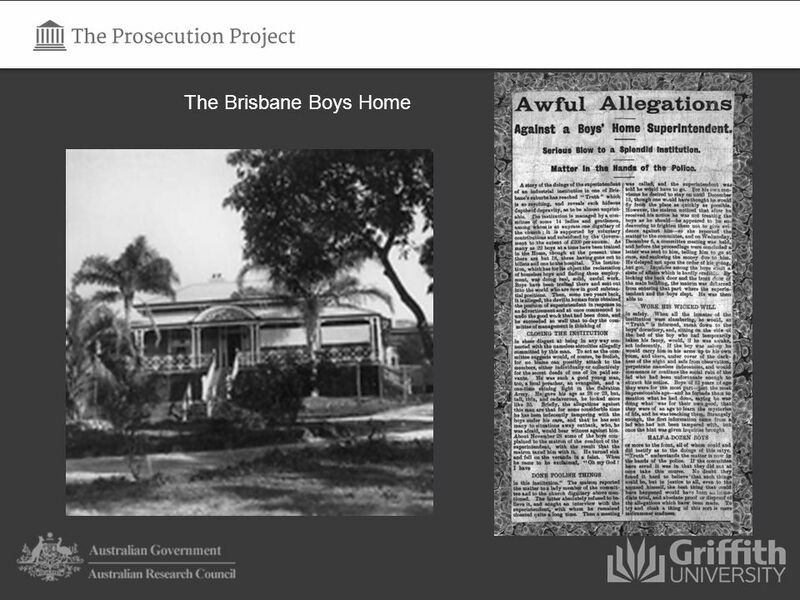 Download ppt "Child sexual abuse in historical perspective: what did the law know and how did it act? 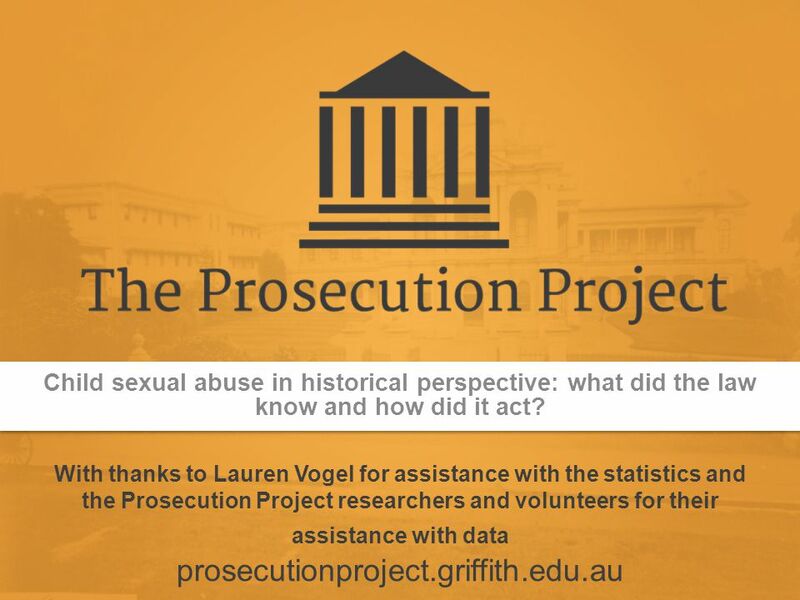 Mark Finnane, Amanda Kaladelfos, Yorick Smaal prosecutionproject.griffith.edu.au."